The next day he broke into her family’s home, stabbed her brother and sister as they tried to help, then he dragged her into the back of his mother’s car and drove her away. She was found dead 2 miles away, dumped behind a wheelie bin. Kirsty had been stabbed 29 times. Michael Atherton, 42, also sent a text a New Year text. Shortly before midnight, he sent a text to his partner, Susan McGoldrick, saying he was going out and would spend the night away because he didn’t like her sister Alison Turnbull, 44, with whom she was spending the evening. But Susan and Alison came home before he had left. Atherton, who held a gun licence despite a history of arrests for domestic violence dating back 10 years, shot Susan, Alison and Alison’s 24 year old daughter Tanya, before killing himself. On New Year’s Day, Aaron Mann, 31 repeatedly hit Claire O’Connor, 38, with a blunt object before smothering her with a pillow. Her badly beaten body was found wrapped in her son’s sleeping bag and covered in a dirty sheet in the boot of her car on January 2. On the 2nd January 2012, 48 year-old Stephen Farrow stabbed 77-year-old Betty Yates in the head and neck and beat her with her own walking stick. On 3rd of January John McGrory used a dog lead to strangle 39-year-old Marie McGrory. Garry Kane, 41, killed his 87-year-old grandmother Kathleen Milward, though 15 blunt force trauma” injuries on her head and neck. 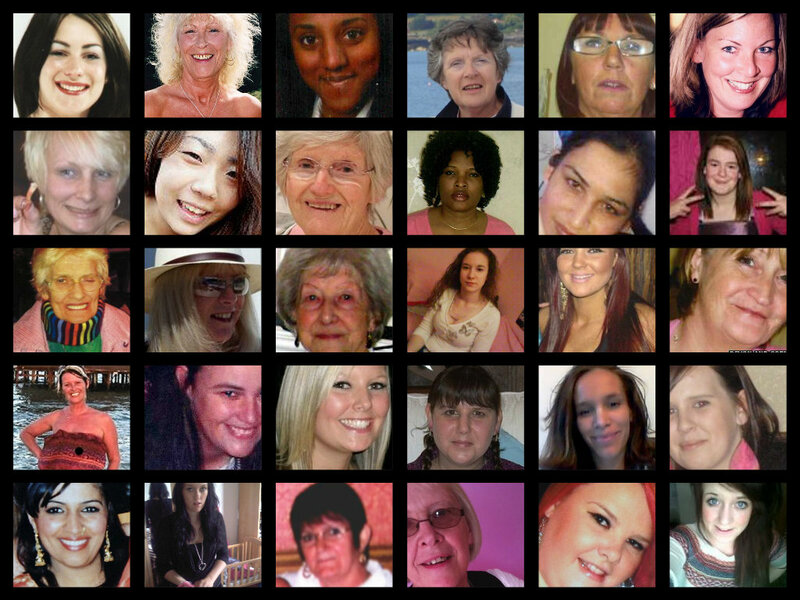 So, in the first three days of 2012, 8 women in the UK were killed through men’s violence. Three days, eight dead women: 3 shot, 2 stabbed, 1 strangled, 1 smothered and one beaten to death. Eight women aged between 20 and 87, their killers aged between 19 and 48 were their husbands, partners, boyfriends or ex’s, sister’s partner, aunt’s partner, robber and grandson. Perhaps because it was the beginning of the year, I just started counting, and once I’d started, I couldn’t stop. Since then, I’ve counted over 366 women killed through suspected male violence. At first I counted women killed through domestic violence. Then, on March 9th 2012, Ahmad Otak stabbed and killed Samantha Sykes, 18 and Kimberley Frank, 17. Otak wasn’t the boyfriend of either of them, but of Eliza Frank, Kimberley’s sister. After killing Kimberly and Samantha in front of Eliza, he abducted Eliza and drove to Dover in an attempt to escape to France. The murders of Samantha and Kimberley don’t fit the definition of domestic violence, but they’re absolutely about a man trying to exert power, control and coercion in his relationship. Their deaths made it clear to me that concentrating on what we see as domestic violence isn’t enough. It’s wider than that. The murders of Kimberley and Samantha by were no less about male violence against women that they would have been if he had been the boyfriend of one of them. Then there’s Andrew Flood, a taxi-driver who strangled and robbed Margaret Biddolph, 78 and Annie Leyland, 88. When I learned he’d also robbed a third woman it was clear to me that there was a pattern to his actions. In fact, last year, five older women, aged between 75 and 88 were killed by much younger men, aged between 15 and 43 as they were robbed or mugged, including Irene Lawless, 68 who was raped, beaten and strangled by 26-year-old Darren Martin. I don’t think the murders of Margaret, Annie and Irene were any less about misogyny, than those of women killed by someone they were related to. So my list doesn’t just include women killed though domestic violence, I could women killed through male violence. I want us to stop seeing the killings of women by men as isolated incidents, to put them together and to see the connections and patterns. The murders of some women barely cause a ripple, some don’t make it into the national media. If the press take this seriously, there’s more chance of people seeing what is going on, of understanding the implications of male violence and to say ‘no more’. Can you give me a link to Counting Dead Men?